Home > Michael LeBlanc, LL.B. Michael leads Canada’s largest title insurance, default solutions and real estate-related services company. As CEO, he manages all FCT businesses across Canada with a network of more than 800 highly engaged employees. 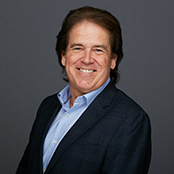 Along with his CEO position, Michael also serves on the Board of Directors of FCT Insurance Company and as Chief Agent in Canada for First American Title Insurance Company. Most recently, Michael served as Executive Vice-President and Chief Operating Officer with FCT; a dual role he took on in July 2011 where he was actively involved in building and nurturing key business relationships. Michael is customer focused and believes that employees must be empowered to be great in what they do. He has worked hard to create an environment at FCT where employees have the opportunity to do just that. Under his direction, FCT has been recognized as one of Canada’s most engaged workplaces, a Great Place to Work® in 2015, 2016 and 2017, and a Great Place to Work for Women in 2016 and 2017. He is passionate about giving back to the community and serves as the Chair of FCT’s Charitable Foundation. He has also actively been involved in many community and volunteer boards, and most recently served a five-year term as President on the Board of Skate Oakville.